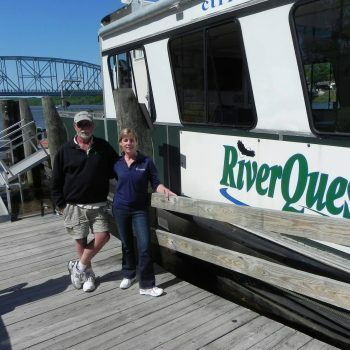 RiverQuest is an extremely safe, quiet, intimate 64′ vessel, certified to carry up to 65 passengers. 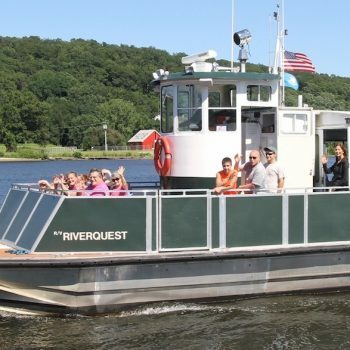 She has been inspected, approved, stability tested and certified by The United States Coast Guard. 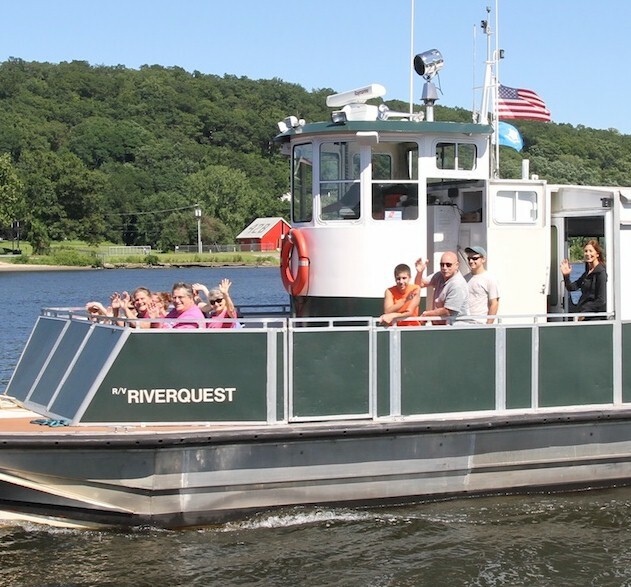 RiverQuest cruises on the lower Connecticut River. 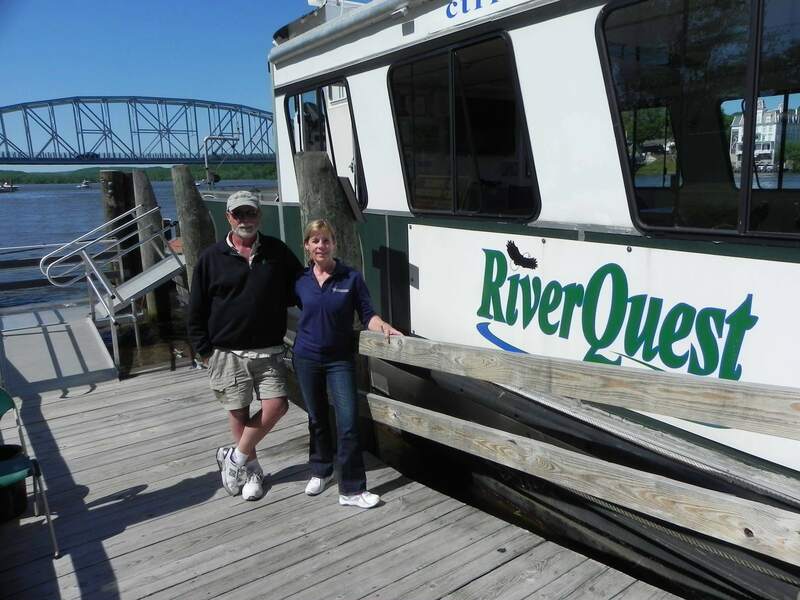 Her one level floorplan makes RiverQuest perfect for Private Charters, Intimate Group Cruises, full Coach/Bus Trip Cruises, Public Cruises and Special Events. 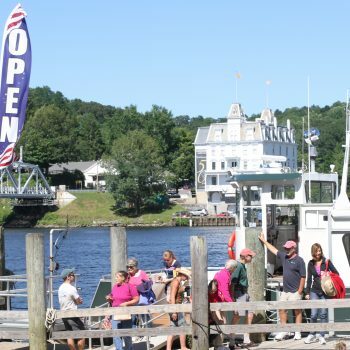 She is handicap accessible and can accommodate small, non electric wheelchairs and walkers. 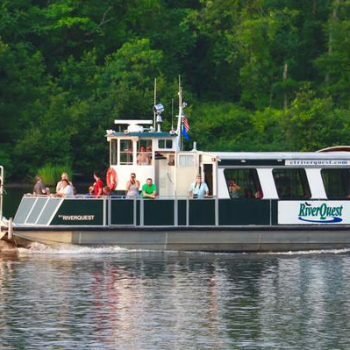 She has a large covered cabin area and a “moveable” canopy that can cover the stern on a rainy or hot sunny day, allowing passengers to be out of the elements. 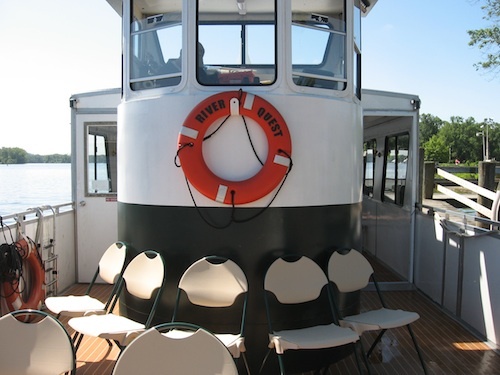 There is a heater in the covered cabin area for use during our late fall, winter and early spring cruises. 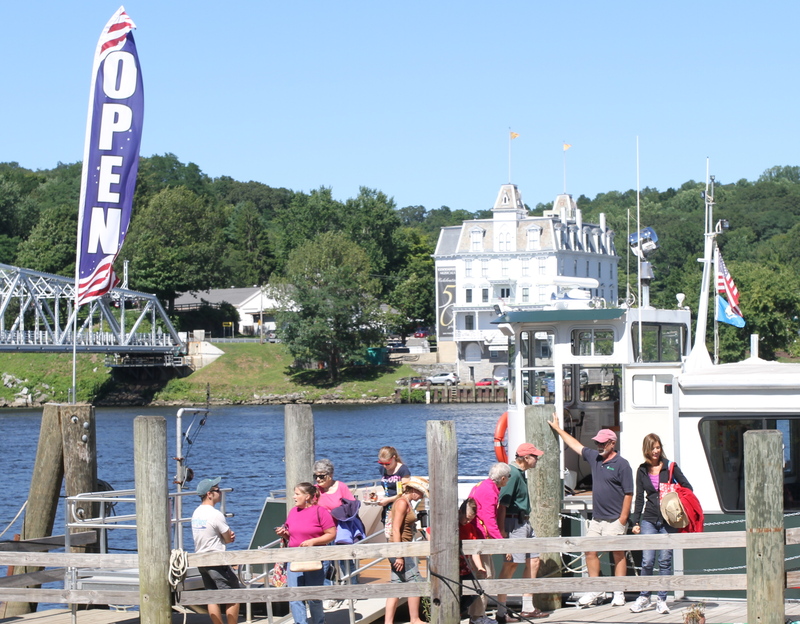 Her twin hulled, catamaran style makes for a particularly stable ride, adding to passenger comfort. 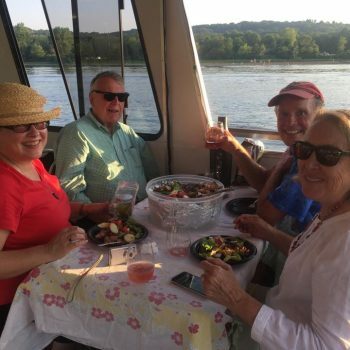 The cabin area is outfitted with large windows and there is a large open bow and stern deck, so regardless of where you are on RiverQuest, one can fully enjoy the scenery along the river. There are chairs and tables that can be arranged for any event or gathering. 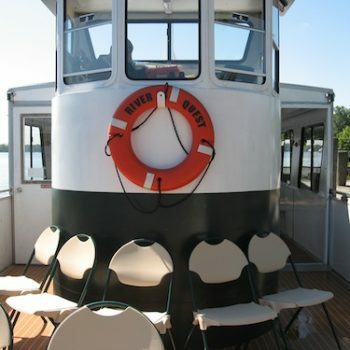 RiverQuest also has a restroom (head) on board. We also provide a very nice portable restroom on the grounds of Eagle Landing State Park. 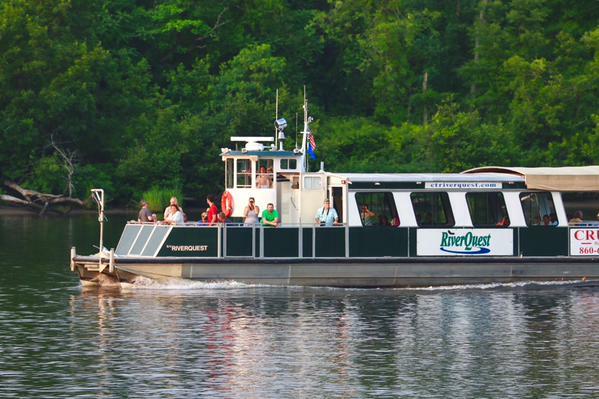 RiverQuest is an environmentally friendly “green” vessel powered by two four stroke outboard engines. These engines are extremely quiet, have no fumes and have been designed to have minimal impact on the environment. 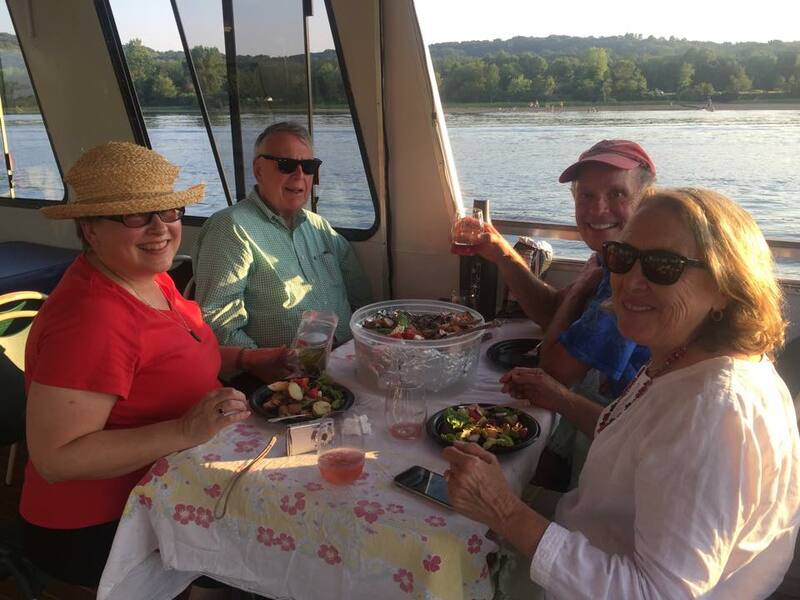 So, please come aboard with us for a great experience on the Connecticut River, any time of year!